John Bell was the farmer at Whiteside, which is located in the Skyre Burn glen. He was active at Bothwell Bridge and went into hiding thereafter. He was eventually killed at Kirkconnell Moor by Robert Grierson of Lag in 1685. 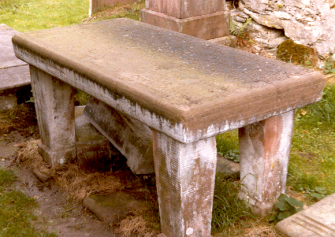 John Bell's gravestone is located in the old churchyard of Anwoth.